Home SharePoint SharePoint 2013 SharePoint 2016 Web Application How to Delete a SharePoint Web Application? SharePoint Web Applications are actually an IIS Containers at top level. Each web application we create from SharePoint, creates respective site in IIS and a content database in SQL Server. Click on "Manage web applications" link under "Application Management"
Select your target web application, and from the ribbon, click on Delete button. Specify whether you would like to delete the content databases and IIS web sites. 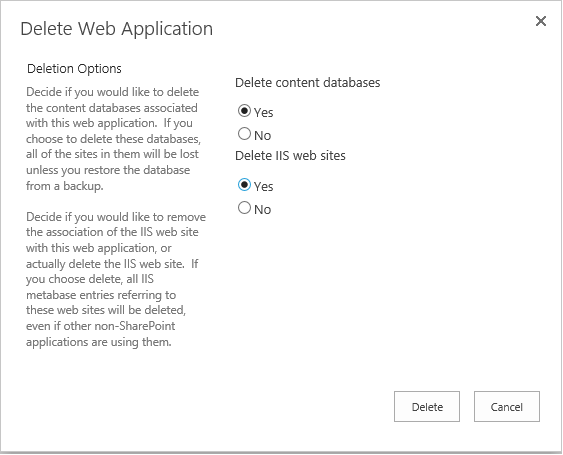 Confirm the Prompt once to delete a web application in SharePoint 2013 and your web application will be deleted momentarily. 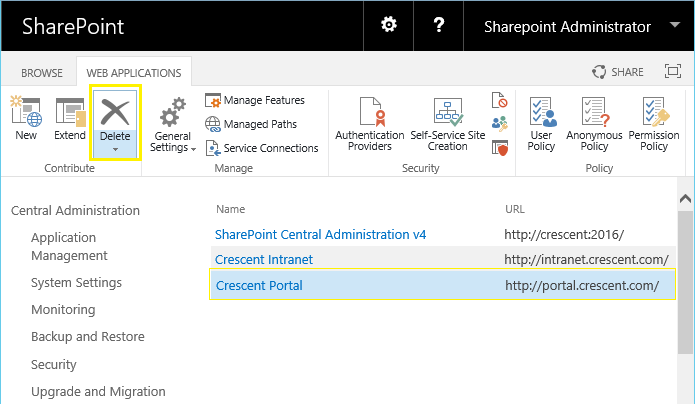 This removes the specified web application from the SharePoint farm. 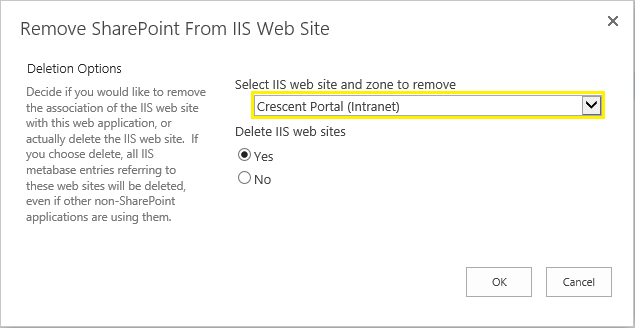 Select the web application you wish to remove the extended zone from >> Click on Delete button drop-down and choose "Remove SharePoint from IIS Web Site"
Set the value for "Delete IIS web sites" to "Yes" and click OK to delete web application zone.